I can’t believe that November has passed by so quickly, and the countdown to Christmas is upon us. Cross country fixtures have come thick and fast, with my Saturdays spent driving round the county ferrying 2 or 3 youngsters to cross country fixtures. 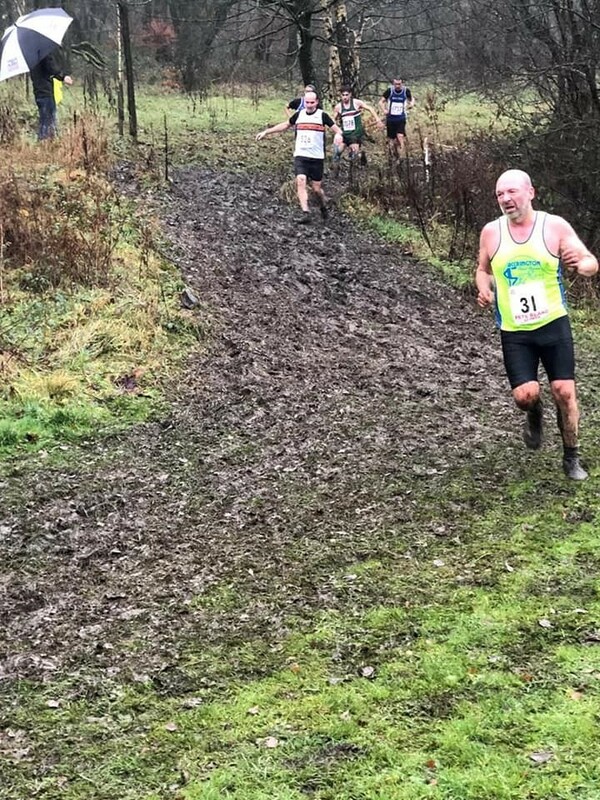 On a personal note, both my washing machine and I have been quite relieved that the weather has been pretty mild and dry this month, although I know most runners love Marl Pits just for the mud. Again, I’m still on a learning curve with regards the Roundup, and despite my best efforts, will have missed things out. Please message me and let me know anything you think I need to include. Thanks for all the reports, particularly those from our first-time race reporters. If you want to have a go, just message me, include a few photos, and I’ll put your report in the Round Up. November has been a busy Month for XC with 3 fixtures taking place. Well done to all our ladies! Red Rose Bolton 10th November, a good XC course with a bit of everything. Lacking mud but still very enjoyable. A cracking 14 ladies took part, Liz Mullan was our 1st lady back in 29th place. Followed up closely by Cassie and Michelle to make our team 7th place overall. Cassie, Michelle and I made up the vet team who finished 4th overall. Red Rose Marl Pits 17th November, everyone looks forward to this fixture. Even the fell runners are seen here at Marl Pits. I have never done the course before, having spectated last year I could see why it was so popular with our runners. Once again, our extremely dry summer let us down on the mud. 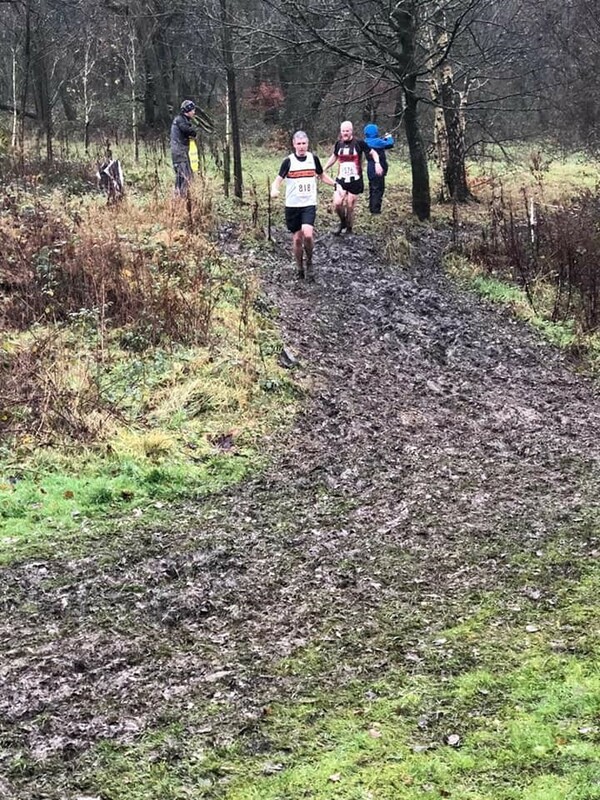 A good course with some muddy parts. I personally wanted waist deep, always next year! Another good turnout for the ladies with 14 taking part. Tara Robb our 1st lady back with Rhiannon Wickham and Liz Mullan making up the team who finished 4th overall. Cassie, Michelle and I made up our Vet team who finished 3rd overall. Mid Lancs Sefton Park 24th November. The 2nd fixture in the Mid Lance league is held at Liverpool. 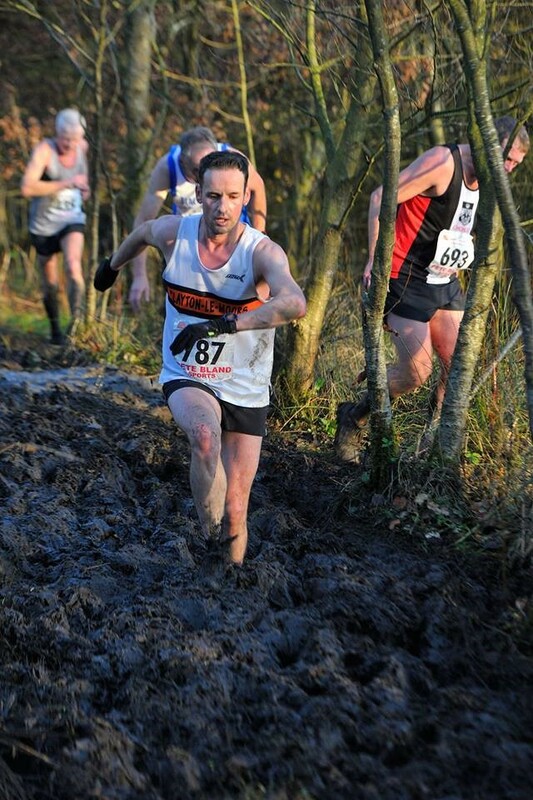 This is the British Athletic Cross Challenge race which includes the European Cross Country Championship Trials. In other words, a lot of fast lady runners wearing knickers and crop tops. With Liz Mullan pulling out last minute it was left to our other ladies (Cassie and Michelle) to make some places up. My prep talk before the race (don’t be ***) obviously worked, they both took the pressure well and had a fantastic race. Michelle being our 1st lady back who finished 37th overall on a very fast, flat and dry course. We had a superb 11 ladies take part. It’s incredible really to think how the fixtures come so thick and fast now, so much so that we have had four league races since my last report! … and how diverse they have been. Firstly and most importantly can I just reiterate how genuinely proud I am of every Clayton runner that has travelled, worn the vest with pride, conducted themselves fantastically and represented the club so well. Of course, I have to report on the top end of the results but what’s stood out to me and pleased me most, time and time again is the team spirit amongst us and those whom have put themselves out there regardless of confidence and pace. These conditions are not easy to run on but as I’m sure you will all agree, certainly very rewarding to have completed. It’s a great team ‘away day’ and please do continue to attend and encourage one another. November 10th was a local trip to Bolton Leverhulme park (Red Rose). Three large laps for the guys on what was to be quite firm underfoot on the day. Many of us deliberating whether to don spikes or stay in fell shoes. Tricky winding bends through the woods to start, a few paths to cross, one shocking short but steep climb out of the woods (the muddiest patch that day! ), then what felt like a long way around the park’s perimeter in the wide open, where if you had paced well, you could maintain a fairly good speed. Well over 10 senior guys in attendance for us and as ever some gutsy performances. Mark Magee continues his blistering form and was our first counter, followed closely by Richard Stevenson and Ryan Bradshaw. November 17th saw the return of the infamous, brutal favourite for many ..Marl Pits (Rossendale – Red Rose). Notorious for being a total lung-buster and including the dreaded swamp! It did not disappoint. I have to admit for the first couple of laps I took the line of sticking to the left of the trees as opposed to going straight through the absolute bog! Eventually though, I decided that it was congested there and many of us were getting cuts from the brambles! Eventually I went straight through and it at least made for potentially the best action shot photo I have had !..well worth the three falls I had on the day. It was very good to see the return of Peter Coates and Carl Helliwell to the squad and this helped bolster our already competitive team. Peter and Carl finished as our 3rd and 4th counters in fantastic times of 31;24 (Peter) and 32;10 (Carl). Ahead and running excellently as we have come to expect from him was Ryan Bradshaw (our 2nd counter) in 31:08. There seems to be no stopping Mr. Magee as Mark flew in 1st for us again in an incredible 30:50. You have to have respect for anyone completing Marl Pits. It has to be experienced to be fully appreciated. Well done all. Next up was an entirely different proposition all together. A real away trip up the motorway to Sefton Park, Liverpool. 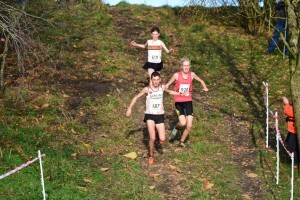 This was not only a Mid Lancashire League fixture, but also a British Athletics European Qualifier. Time to mix it up with the elites! on what was the driest, fastest cross-country course I have ever experienced. The pace throughout all of our club runners reflected this as the times we’re more akin to those of a road race! 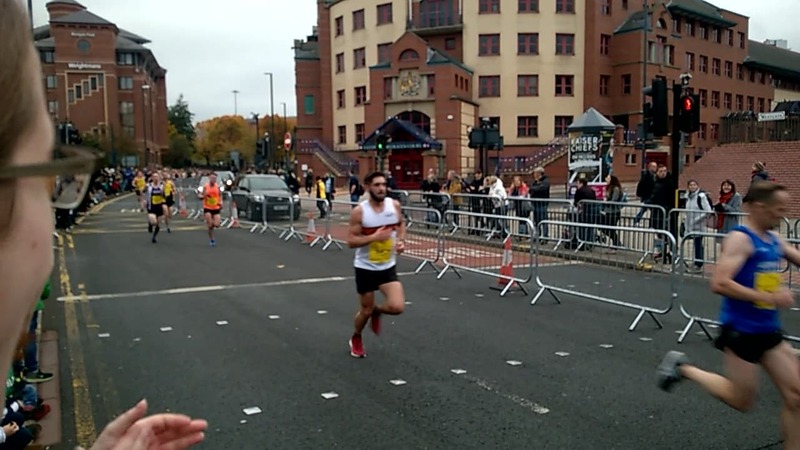 I’ll tell you how fast the leader was able to complete it in, Liverpool Harrier’ Charlie Hulson finished in 28:06!. Of course, I was more interested in the real athletes in orange and white!. Fast finishes for Richard Stevenson and Ryan Bradshaw, well up there in the senior rankings. That man again, Mark Magee was our first male counter and to put into perspective how successful his run was overall, he finished in 49th place out of a field of 324 seniors. It was great yet again to see a good attendance from juniors, ladies and guys who gave up a considerable chunk of their Saturday to travel to Liverpool. Really positive stuff. 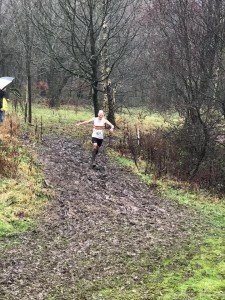 As I write this, we have just completed the finale of the Red Rose League with the Todmorden fixture in true cross-country conditions. Many of our members have been asking ‘when are we getting real mud?!’. We certainly got that on a challenging Todmorden Vale Park course. Many of us hadn’t realised how many hills we would have and by the time the guys lined up at 2.15 the course was a real bog. I have to commend in particular Matthew Duckworth’s dedication in making the journey back from Leeds to run for us. Matt was running strong, as was Peter Coates and Andrew Holt, all finishing in great low 40’s times. The last Red Rose fixture was successful yet again for Mark Magee, leading the points for us with another first Clayton finish. Many of us had a night out later that evening and I can tell you there was plenty of chat about it and enthusiasm for the remaining Mid Lanc’s fixtures. Long may that continue. Mark Magee (17th), Andy Holt (39th), James Dunderdale (49th), Michael O’Donnell (59th), Alex Cran (73rd) myself in (77th), Craig Nicholls (83rd), Jeremy Bradshaw (91st), Martin Brady (99th), James Hickie (104th). All that remains for me to say is congratulations on all your efforts at all recent fixtures and I look forward to seeing as many of you as possible at the next (Mid Lancs) fixture at Hyndburn this coming Saturday (8th December). Thanks and appreciation as always to Donna Airey, Jason Pier, Cassie Smedley, Helen Stevens, Gill Hughes and all others who have helped by arriving early / stayed late, helping with the tent, brought tasty treats, took pictures or just cheered us on. Plenty of hard work goes on behind the scenes to make the fixtures a continual success. ‘Tis the season to be……..MUDDY’! In Belgium, where the National sport is cyclocross racing, there is a period over Christmas where the races come thick and fast and keep both the professional and amateur riders super busy – the Kerstperiode. November has been the cross-country equivalent of the Kerstperiode with races every weekend, and the action extending on into December for good measure. Our Juniors have been out battling away in both Red Rose and Mid Lancs fixtures with some super individual performances and great team efforts alike. Whilst not all the Juniors make the top 10 or the team placings, the coaching team have been loving seeing ALL our Juniors racing with focus and guts – well done to all of you! The Red Rose series reconvened for the 2nd race of the series at Leverhulme Park, Bolton on 10 November and a dryish day meant the course was a little faster than usual, but still featuring Leverhulme’s long open drags and that stiff climb up through the woods. Charlie Fee improved significantly on his first Red Rose race to enter the top 10 with 9th in the U11B race, with Eliena Lusty also taking a top 10 in the U11G race. 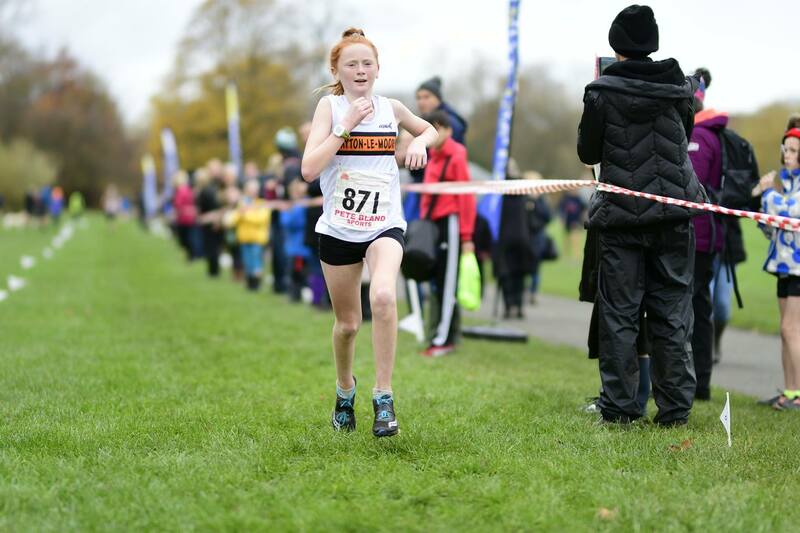 Helana White chucked her more conservative pre-race plan out of the window early on, hitting the front before the big second lap and was unchallenged all the way to the line in the U13G race, backed up by Sianna Smith and Amelia Halstead to take 1st team. Jackson McKay took a fine 3rd in the U15B and with Will Nicholls and Lennon Jackson, 3rd team. Also taking 3rd team was the U15G trio of Sophie Ashworth, Ella Dorrington and Imogen Ferguson. Michael Stevens and Nick Hennessey were 9th and 10th in the U17B and with Peter Stevens, 3rd team. With Briony Holt 4th in U17G, Nicola Moynihan and Millie Stubbs took 3rd U17G team. The following week it was off to, shock horror, a dry and barely muddy Marl Pits. 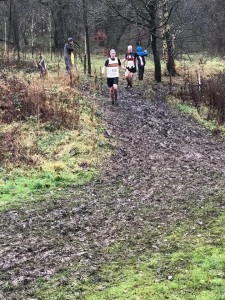 Undeterred and unfazed by the miraculous lack of mud, Eliena Lusty repeated her 10th place in U11G and Will Woodruff edged closer to the top ten in U13B with 11th. Helana White fought hard to take another win but had to settle for second in the U13G with Sianna and Amelia again ensuring the girls were 3rd team. Jackson repeated his 3rd place from the week before with Will and Lennon making up the 3rd place team in U15B, whilst Nick Henessey was 9th in U17B with the team of Michael and Peter Stevens taking 2nd. Briony Holt improved to 3rd and Nicola Moynihan was running really well for 6th in U17G. 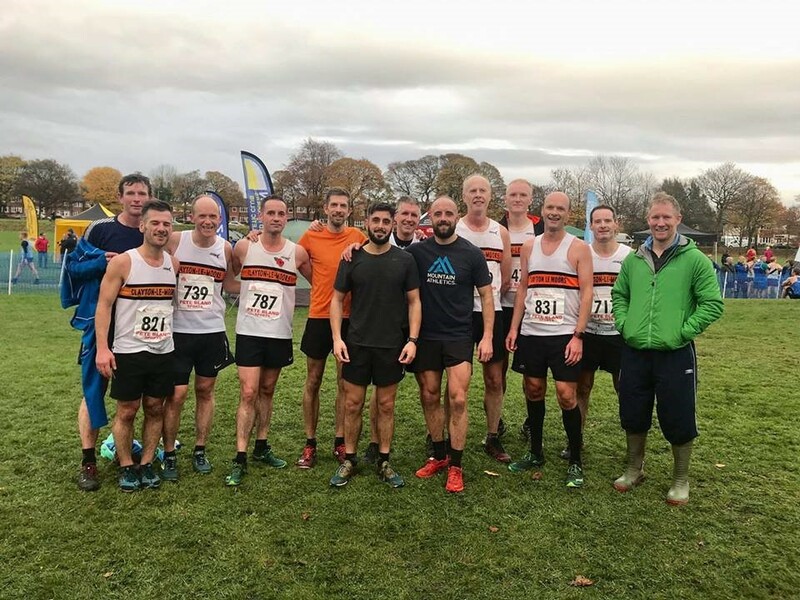 Sefton Park, Liverpool traditionally sees the hybrid Mid Lancs and National Cross Challenge series fixture where huge fields belt off at unfeasibly high speeds, and our Juniors get to measure themselves against the very best in the country. This year was no exception and there were some strong performances from all our Juniors in what can be an intimidating atmosphere of hectic and super quick racing, large crowds and a larger PA. 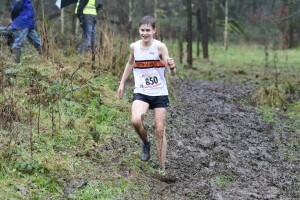 There were notable performances too from Helana White (2nd Mid Lancs and 18th overall) and Jackson McKay (8th Mid Lancs) in league fields swelled by extra competitors from across the NW club scene. 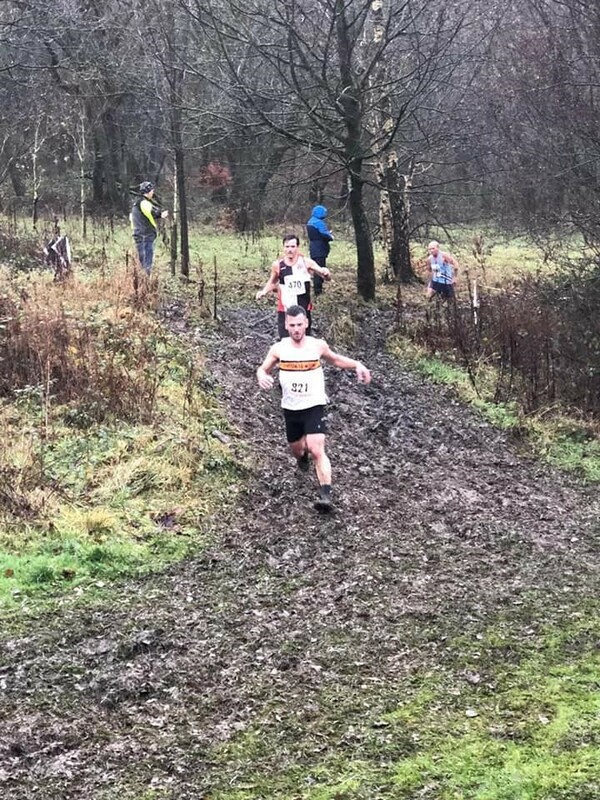 With another 2 back to back weekends for the Red Rose final round where individual and team positions will be decided and more Mid Lancs action at Hyndburn, it promises to be a great December for our Junior Harriers! 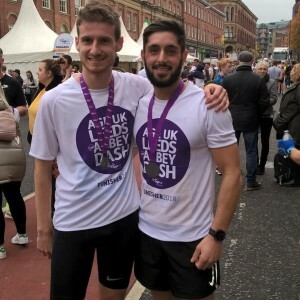 I did the Leeds Abbey Dash on the 4th November. I’d been training towards it with my coach Phil hall at track. My aim was to get a pb which was currently 35.45 which I achieved at Trafford 10k (2nd Sep) Phil started giving us 1km reps x 2 at the end of the Tuesday sessions to help with strength when tired. I managed a pb of 34.53 which I was over the moon with, my ambitions target was sub 35. 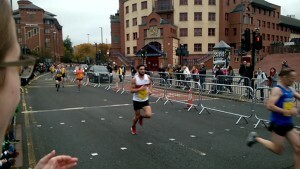 On mile 5-6 I had to really dig deep and was in a world of pain but managed to keep my momentum and achieve the sub 35. I think 1km really did help during that last mile. Ryan Bradshaw also ran Leeds abbey dash, my training partner, he also achieved a pb of 36.40, you may need to check though. Avril Duckworth – 1st V55W, 3rd Woman overall. Stephen Biscome – 1st M65. Helana White – 1st U13G. 1st U13G Team (Helana White, Sianna Smith, Amelia Halstead). Jackson Mackay – 3rd U15B.3rd U15B Team (Jackson Mackay, William Nicholls, Lennon Jackson). 3rd U15G Team (Sophie Ashworth, Ella Dorrington-Levy, Imogen Ferguson). 3rd U17M Team (Michael Stevens, Nick Hennessey, Peter Stevens). 3rd U17 Women’sTeam (Briony Holt, Nicola Moynihan, Millie Stubbs). Alfie has only done a few 10K races in the past, as he has only just turned 16, he entered this as he was told it this was a fast, flat one.. but could be a little windy. The day did not start well. I asked him to put the postcode into the Sat nav, as I vaguely remembered reading that the start had been changed, and thought this would make life simpler early on a Sunday morning..… Well it would have if Alfie had put the correct postcode in, and not a random postcode for a house in a housing estate near Stanley Park Blackpool!. Cue great confusion as I was approaching Stanley Park and calling Alfie a numpty when I stopped and read the postcode he had entered compared to the ACTUAL postcode. We then had a view of Blackpool Tower, the lights and the Pleasure beach as we drove along the promenade back to Lytham. When we arrived it was wet, windy, cold, a great start for the race, people were huddled under shelters, and only removing layers at the last minute to go into the starter funnel. We found an equally cold Michelle Abbott under the same shelter. The 2 minute silence for Remembrance day preceded the race and was respectfully observed. After that the race was ready to be started. The start and finish in front of the Windmill was on grass, which meant it was a little slippy and leg draining at the end, according to Michelle but the majority of the race is on the promenade, with views of the beach and the sea (although I am not sure how much the runners were taking notice of that). The expressions about waiting for buses was the case for Clayton runners, as first few runners came through, and then we had several Clayton Harriers arriving within a couple of minutes. First Clayton Harrier back was Kevin Davies, in 43:34, quickly followed by Alfie White who was chasing the clock down to get a PB and his first sub 45 min. He came in at: 44:45.38, followed by Michelle Abbot in 45:39.09, who must have got the award for the loudest “encouragement” as she was yelling at Alfie to “go” all down the back straight when she could see Alfie in the last 600 metres and could see how close he was on her watch. A Quintet of ladies finished shortly after in quick succession to complete the Clayton Harriers runners (where were the men??). Well done everyone! running – not the distance, but I definitely have the time in my legs (and on my feet!) and I run very much as a head game – if I feel good I tend to run good. I’d even got a couple of good recce’s in over the previous few weeks to refresh my memory of the route having missed it in 2017 due to a last minute work commitment cropping up. So I started the race at just after 10.30 am on Saturday 17th November feeling good, strong and light on my feet. The first few miles bore testament to this, I was where I thought I should be in the field, some familiar faces around me in the pack. the usual bench marks of performance (“if I run *this* uphill bit I am running well”) I was trotting over quite smoothly. 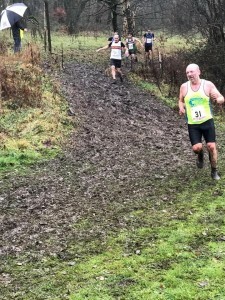 My breathing was good from the word go – since running with a race vest rather than bumbag I have noticed my breathing has been better, where as I have in the past struggled to get my breathing right early on in a race. 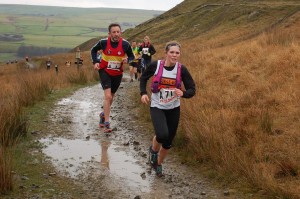 There was some good banter with fellow fell runners and club mates on the way up, including supporting a chap new to the race (and as it turns out fell running! – what a way to start!?). All in all a great way to start one of the toughest races in the calendar. And that’s how it continued. I even took a gamble on an experimental line across the moor from CP 1 to CP 2 which paid off – I (and Dave Naylor) got ahead of several faces in my immediate pack as I crossed the CP1 hurdle – some came back at me (well done Vicky!) and got back ahead by CP3, some did not. Result! Even the cut off at CP4 (be through by 12.30, at the bottom of the legendary ‘Geronimo’ descent) I knew I would get through, but to do it by the best part of 25 minutes was very pleasing. Plenty of chatter to the marshals and some thank you’s as well, in the most stunning of conditions – even the mist lifted to offer a ‘haze’ against clear skies. It was a cold wind for sure, but not so strong as to impede progress. The only point I had to dig deep was on the final climb, from CP9 to CP10. up the Big End, from its lowest point on the moor to its highest just before the actual summit. Truth be told – everyone has to dig deep here and it’s fair to say that I gain a degree of motivation from schadenfreude ethically right or not it works for me! I focused on a steady step pattern and keeping as light as I can on my feet as I passed a few on the way up. It seemed to work. I got to the top able to keep moving, where as some around me were pausing for breath. I even donated my final Babybel to a mate who was bonking big time. 2016 In the snow – 4.09. Making 4.12 in 2018 My second worst time running this race!!! How does that work?? How can I have felt so good, had great conditions and seemingly ran so well to deliver as duff a time as that! I was slower than the snow year where you couldn’t actually pass anyone or else you were in knee deep snow! have a complaint, or at least a strongly worded letter to put to them. Helana White – 2nd U13G. 3rd U13G Team. 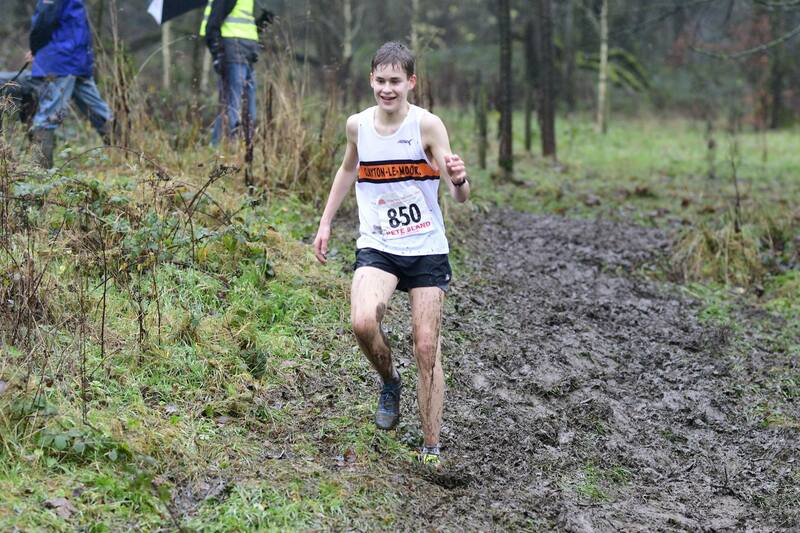 Jackson Mackay – 3rd U15B. 3rd U13B Team. 2nd U15B Team. Briony Holt – 3rd U17 Woman. 3rd Ladies Vet Team. 3rd Senior (Vets) Team. Well what can I say? Less than 24 hours after running a PB at Liverpool XC, me and Cassie venture over to do the the Wilmslow 10k – a new one to us so didn’t know what to expect (well apart from a hill about 8 k we heard a few people say). Anyway we headed off to the start and squished our way in, being towered over by all these tall fellas, braced ourselves, realising we are near the sub 40 pacer. Oooppps well that ain’t gonna happen! We set off nice and chilled chatting up to about 5 k, when we split up a bit so carried on enjoying the views waiting for this hill. So, here goes, the hill is here! Ermm, well ,10 secs of it ! What was that, thought you said hill? So I had a quick glance at my watch, realised I was running a pb! All I had to do was speed up a bit and knock a 4 min last km out, so went for it. Well sort of! I saw the photographer at 400 metres to go, so gave him the thumbs up first, then went for the finish. 43.58 pb and sub 44 whoop! So I trotted through, was told to move on – no chance, I was waiting for Cassie. I saw her coming through. Me: you’ve got a pb! Cassie: no I haven’t. Me: ermm yep you’ve got under 45 and you were not over a minute behind. Cassie checks watch 44.39 – whooo! Double pbs and subs, get in! Fantastic end to the weekend, been a long time coming , and what better way to do it than with your partner in crime? We will be going back next year to Wilmslow, brilliant route and support all round. 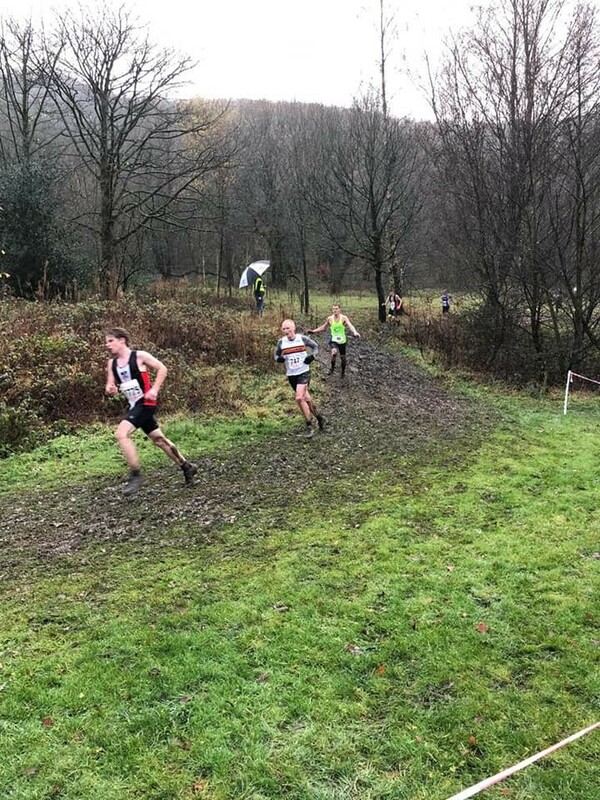 It was another fine day in the Rossendale Valley as runners descended on Stubbylee Park for the annual Lee Mill Relays; you could have said that it was almost tropical in comparison to previous years! The popularity of these relays is growing ever year as more different teams enter and the calibre of the runners improves year on year. This was further proven as all course records went with the ladies, men’s and different teams’ records being broken. There was a light rain as runners warmed up, however it subsided as the leg 1 runners congregated on the track. 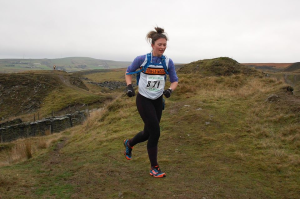 Rhiannon Wickham and Vicky Heys were running for the ladies teams as they made their way towards the quarry and up the steep banking onto the ridge. Both ladies had a good run with Rhiannon just coming in over the hour mark. As Claire Vincent and Angela Shian started leg 2, reports were coming in that the ground was pretty good and there was only 1 bad boggy bit. On leg 3 were Tara Robb and Kath Wallis with both of them clocking great times with Tara doing a great leg in just under the hour. Lastly were Jean Brown and Fiona Glen bringing both teams home. The ladies A team had a great run and finished a very respectable 4th and just over a minute behind 3rd. The ladies B team, were 2nd V40 and came 11th overall out of 16 ladies team. The overall event was a massive success for Rossendale Harriers as it raises a lot of money for the local Mountain Rescue and local charities. On a personal note I would like to say a massive thank you to all the ladies who have put their names forward over the year and run in the Calderdale, Hodgson, British and Lee Mill relays. We have got more fresh faces running on the fells and as a club we have had some great results and hopefully fun! Have a good few winter months, there are some good off-road events and I am hoping to don my Shirley Bassey outfit for Whinberry Naze on Boxing Day. Hope to see you there (they usually hand out smarties at the trig) and here is to a good 2019! The junior section continues to go from strength under the leadership of Marion with excellent coaching in her team of Jason Pier, Alan Dorrington, Michelle Abbott, Cassie Smedley, Richard Stevenson and Phil Hall. 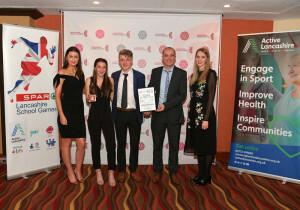 Their hard work has been recognised this month at the Lancashire Sports Awards where Clayton-le-Moors Harriers Juniors have been awarded Club of the Year. 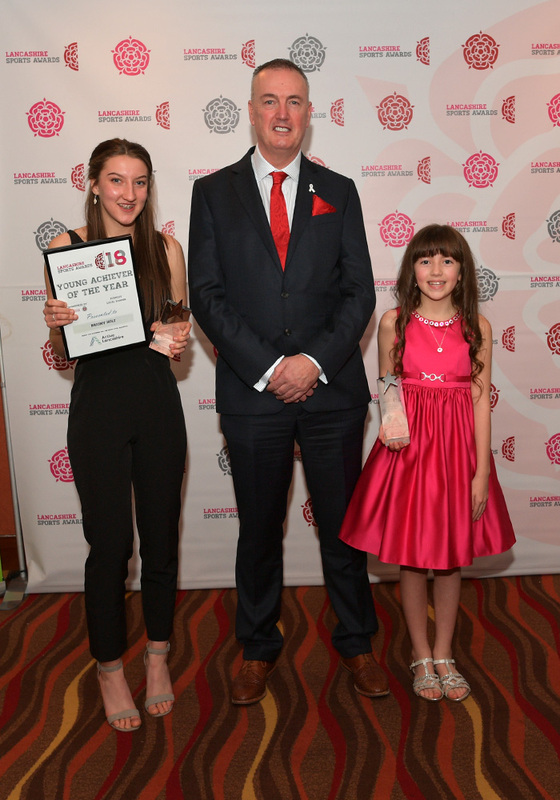 In addition to this, we are super proud of our very own Briony Holt who was awarded Highly Commended in the Young Achiever category. commitment to sport over the last few years. 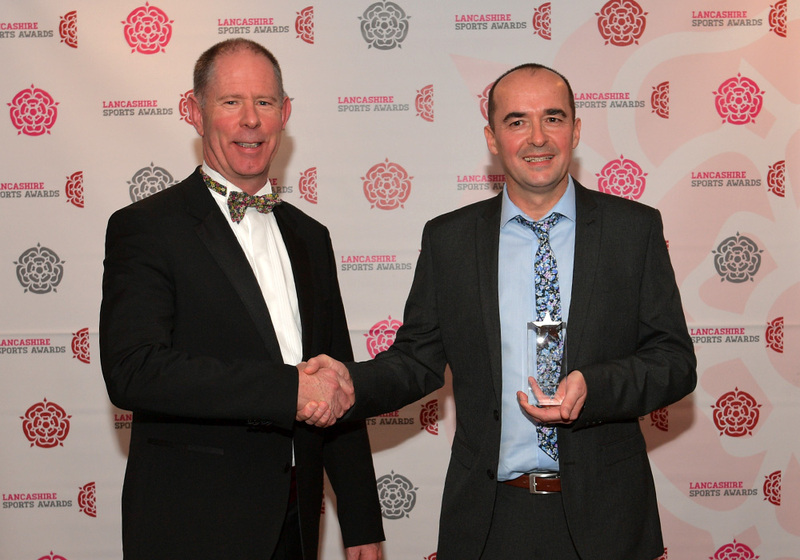 In July we won the Burnley Community Club Award and have now gone on to win the Lancashire Community Club Award. I am extremely proud to be part of this success. Sport inspires achievement and produces inspirational coaches, participants and volunteers. 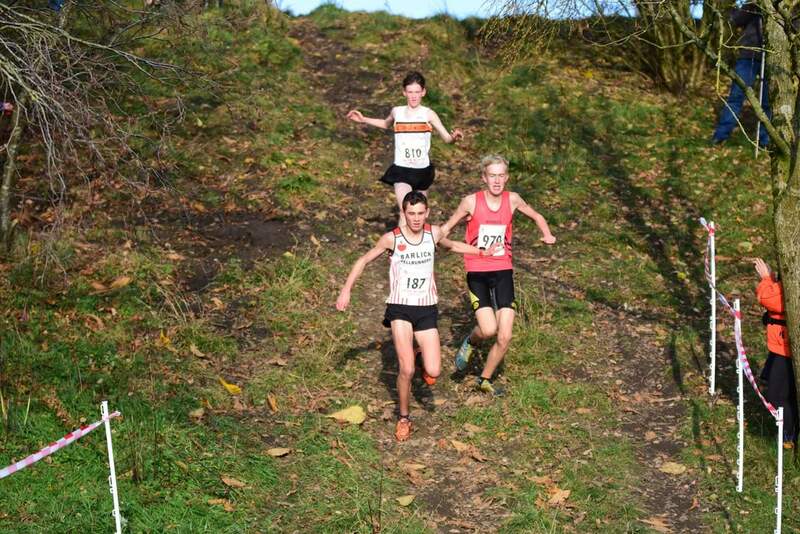 November saw us welcome some new junior members – Olivia Metcalfe, Caleb Thornber and Charlie Parkinson (who joins us from Rossendale Harriers and will provide even more competition for our older juniors). 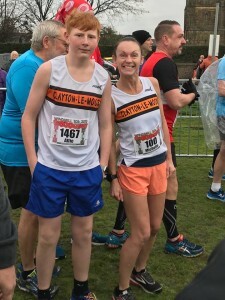 After Charlie’s first race he remarked to Marion that he enjoyed the run, but found it strange looking down to the white, orange and black vest. We are sure you’ll grow to love it as much as we do Charlie! Finally, Marion has asked me to include a bit about how proud she is of Michael Stevens’ efforts outside the sphere of running. 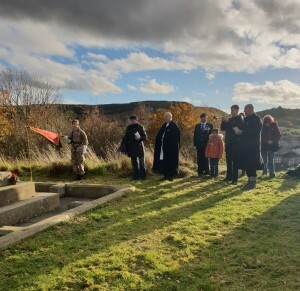 This month Michael was asked to play The Last Post at the Remembrance Service at his school (St Christopher’s CE High School in Accrington, where he is Head Boy), and also at Cliviger and Huncoat Remembrance Services. 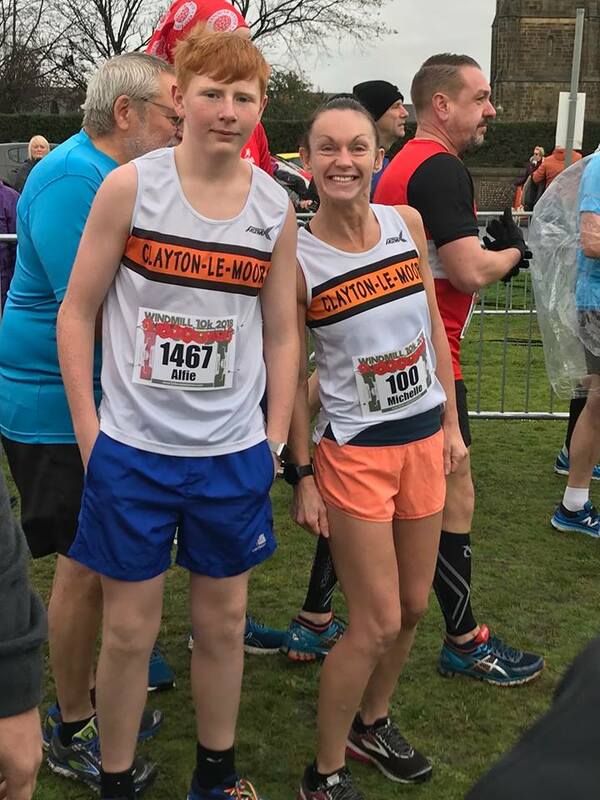 I’m including a roundup of our Juniors’ achievements at the shorter 2km Junior Parkruns this month as these youngsters are demonstrating huge improvements thanks to the excellent coaching of the team led by Marion. This entry was posted in Roundup by Helen Stevens. Bookmark the permalink.